Mother’s Day- Probably, (and I say probably! ), it is one of the most important days after Christmas. It’s the day to celebrate all mom kind. Treating her to a relaxing massage? A nail salon treatment? Whatever your gift is going to be, there won’t be a happy Mother’s Day without a tasty comforting meal. It can be a fantastic roast dinner with family at home or a three- course meal at a restaurant. But what we suggest this year is a special brunch! It was always your mom who got up earlier than anyone in the morning to look after us, wasn’t it? So how about a nice surprise right in the morning? Whether it is an indulging breakfast-in-bed or no running-around family breakfast at the table, you will brighten your mom’s day with a fantastic brunch! A couple of slices of toast with jam would do the trick? Well, our mother-earth deserves a lot more! To start, toast to your mom with a refreshing fruity glass of bubbly, Mimosa (Orange, Passion fruit, strawberry, any fruit she loves)! On your rainy blue day, your mom made you eggs and soldiers? It is your time to give back and treat your mom to a plateful of English breakfast with her favourite ingredients- whether it’s a gorgeous light and crispy bacon, golden brown hash browns, a slice of caramelised ruby tomatoes, happy beans and slices of toast. Or how about hash browns potato cakes with sausages and spinach? For someone who just can’t have enough of flaky crispy yet fluffy potatoes, this combination works like a magic! Your mom loves spongy and chewy crumpets then serve it with fluffy scrambled eggs with smoked salmon. A squeeze of lemon and black pepper brings it to the whole new level! If your mom is more of sweet breakfast type, then there is so much to offer as well. Simple rustic warm scones with good quality butter or clotted cream and fruit preservatives go a long, long way. Something as comforting and as snugly is crumbles. Whether it’s an apple or seasonal rhubarb crumbles, toasted oaty goodness with fruity juiciness and sweetness, served with a melting ice-cream, is just a heaven! How about spoiling your mom with cherry and almond Bakewell tart? It is hard to find someone who doesn’t like this classic tart. The almond marzipan-like flavour with juicy jam on crumbly buttery pastry is a true delight. Your mom would feel like she is suddenly brought to a sophisticated tea room! Your mom likes a warm bowl of…. A nice steam coming up out of a bowl….A bowl of warm hearty porridge always woke you up even in a cloudy morning with the biggest headache and brought you to somewhere serene. You know what that taste like. Treat your mom with a hot bowl of porridge with a hint of butter, or milk, and/or topped with her favourite toppings: a handful of pumpkin seed, dried fruits, cinnamon, cacao powder, a drizzle of honey. 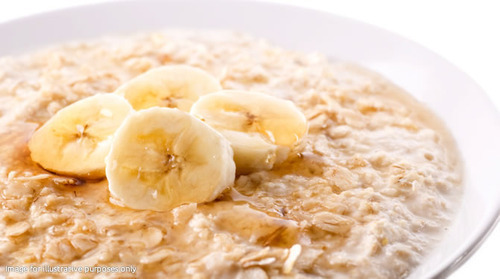 An alternative to creamy porridge? Try Congee, Chinese smooth rice porridge the people love to sip in the morning. In China, Congee is usually accompanied with duck egg and pickled tofu. For us who is not so familiar with these ingredients, Congee can be made in a chicken broth topped with sesame oil, soy sauce, spring onions, mushrooms, shredded cooked chicken, shrimps (or pork, beef, and any toppings of your choice).…It is perfect in the morning to relax you and even cure your sniffles…It has got such a gentle calming effect…Your mom is more into noodles than rice? Then how about noodles for breakfast? Malaysian breakfast, Har meen (prawn noodle soup), is a spicy and tangy bowl of satisfaction! Har meen is made with a spicy shrimp broth with rice noodles, beansprouts, shrimps (and bits of pork) and boiled eggs. Spicy and refreshing! It is going to be a new brunch favourite for sure! It’s a pity to push out noodles only for dinner, right? 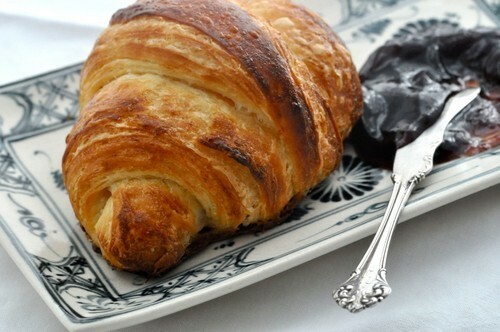 If your mom loves buttery pastries and into French cuisine, no need to look further but a buttery croissant (as it is or with nice fruit jam, or ham and Gruyere cheese). Other Frenchy tastiness? There is of course Croque Monsieur/Madame, and creamy and crumbly Quiche. How about decadent tart where toffeed apples are the heroines? Yes, it is Tarte Tatin. Classic caramel-like buttery topping and juicy apples (pears and apricots are amazing alternatives too!) Tarte Tatin makes apple lovers proud. For savoury Tarte Tatin, fruits can be replaced with tomato, basil, cheese, caramelised onion with garlic and a splash of Balsamic vinegar and they go very well in Tarte Tatin. Whichever the filling is, this upside-down tart is just something to die for! How about something that has even more wow factor? Amazing heaven in your mouth, Soufflé. Souffle is like a fluffy puffy cloud (not the dark cloud, heavenly white cloud in the blue sky!) in your mouth. Whether it is a savoury cheese and herb soufflé, or an indulgingly intense chocolate soufflé or a raspberry soufflé, wow factor is guaranteed! Your mom is in love with Mediterranean warmness? Then Meze is the answer. Meze consists of a selection of small dishes, Balkan style Tapas if you like. The word Meze comes from Turkish word meaning ‘Taste, flavour, smack, relish’ (makes sense right?) There are a number of dishes to choose from but we recommend bread with Hummus (creamy lemony chickpea dip), Tzatziki (refreshing yogurt dip), feta cheese confectioned with oregano and olives, Keftedakia (meatballs), and Dolmades (stuffed vine leaves) and Melitzanokeftedes (aubergine fritters). Someone who loves to have a bit of everything, everything so flavourful, it is like a heavenly pick and mix on the table! Banquet brunch right up! One of THE best power brunches you should have in your sleeve for an indulging morning is Eggs in purgatory (Uova al purgatorio). 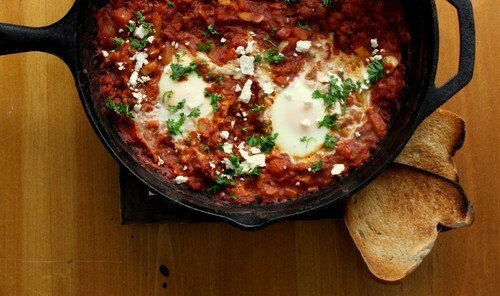 This Italian dish consists of eggs cooked in fiery tomato sauce with parmesan cheese, served with white bread to dip in. Sweet tomatoes, the heat of chilli, rich creamy eggs and soft gooey cheese are the perfect equation that always works in the morning with the biggest hangover or when in need of something comforting and fulfilling, something that gives you a pleasant kick right in the morning. Quesadilhas is one of the most known and popular Mexican dishes. Black beans with fresh coriander, chopped onions, chilli with cumin and a good heapful of cheese in a tortilla. 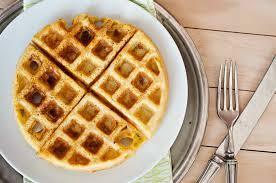 Juicy cheesy spicy and so aromatic, we all love this and your mom needs this for her power breakfast! If she is a big fan of Indian cuisine, choose beautifully puffed-up golden puri with spicy chickpea curry. Puri is a deep-fried yet gorgeously light Indian bread, which can be served with spiced potatoes or spicy chickpea curry, Chole. Chickpeas are great and appreciated in different cuisine types but chickpeas in Indian food is just the best! The nuttiness and almost creamy flavour works best in heat. Or how about Dosa? Dosa is a crispy thin pancake made with rice and black lentil batter, served with chutney. Or masala dosa, which is dosa stuffed with potatoes, fried onions and spices. Perfect, perfect, spicy and fragrant brunch! So that was it! 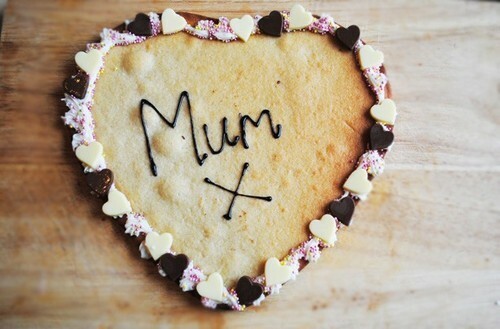 It is the foodie way to say ‘I love you, mom!’ to a foodie mom. Treat her to the heartfelt delicious foods that bring back sweet family memories. Or indulge her with an exciting new flavourful adventure! Above all, enjoy each moment of the day together! Cheers to all mom kind! Copyright © 2019 TASTYFIND Blog.